The CMS may soon make it easier for states to use federal funds to pay for Medicaid enrollees to receive treatment at inpatient mental health facilities. The agency issued a letter to Medicaid directors Tuesday saying they will be able to cover an average of 30 days of care at institutions of mental disease, or IMDs, through a new waiver. In a speech shortly before the announcement, HHS Secretary Alex Azar said the Trump administration is increasingly concerned that Medicaid beneficiaries aren't receiving critically needed care because of the IMD exclusion. "Today, we have the worst of both worlds: limited access to inpatient treatment and limited access to other options," Azar said at the National Association of Medicaid Directors conference Tuesday. "It is the responsibility of state and federal governments together, alongside communities and families, to right this wrong." The CMS now reimburses IMD stays up to 15 days for Medicaid enrollees in managed-care Medicaid under a 2016 rulemaking. The new waiver will pay for more treatment at IMDs and apply to all Medicaid enrollees, not just those overseen by private plans. The waivers will only be approved to cover short-term stays. States will have to prove their plans are budget-neutral for the federal government. The Trump administration is already offering similar 30-day IMD waivers for Medicaid enrollees battling substance abuse. To date, the CMS has approved the substance abuse waivers for 17 states, and the agency has seen positive results, Azar said. Virginia has seen a 39% decrease in opioid-related emergency department visits and a 31% decrease in substance-use related ED visits overall after it implemented its demonstration. The state was one of the first to receive an IMD substance abuse waiver. "There are so many stories of Americans with serious mental illness, and their families, that end in tragic outcomes because treatment options are not available or not paid for," Azar said. "I urge everyone involved in state Medicaid programs here today to consider applying for the kind of waiver I've just outlined." 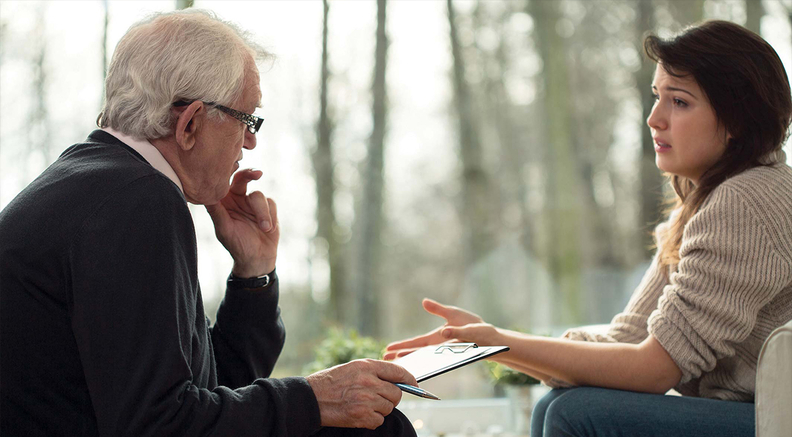 The CMS estimates that 7.1% of adults ages 21 to 64 meet the criteria for serious mental illness and require some inpatient treatment and that 13.8% experience serious substance abuse disorders. The exclusion has meant a difficult care experience for Medicaid beneficiaries suffering from mental illness, according to the National Association for Behavioral Healthcare (which changed its name from the National Association of Psychiatric Health Systems this year). Patients endure long stays in emergency departments and are transferred from one general acute-care hospital to another, sometimes far from their homes, because of bed shortages. Medicaid has not paid for treatment at IMDs for beneficiaries 21 and over since its inception in 1965. Most residential treatment facilities for mental health and substance-use disorders with more than 16 beds did not qualify for Medicaid reimbursement. Instead, states were responsible for the care of people with severe mental illness. The federal government did not want to supplant state funding with federal Medicaid dollars.